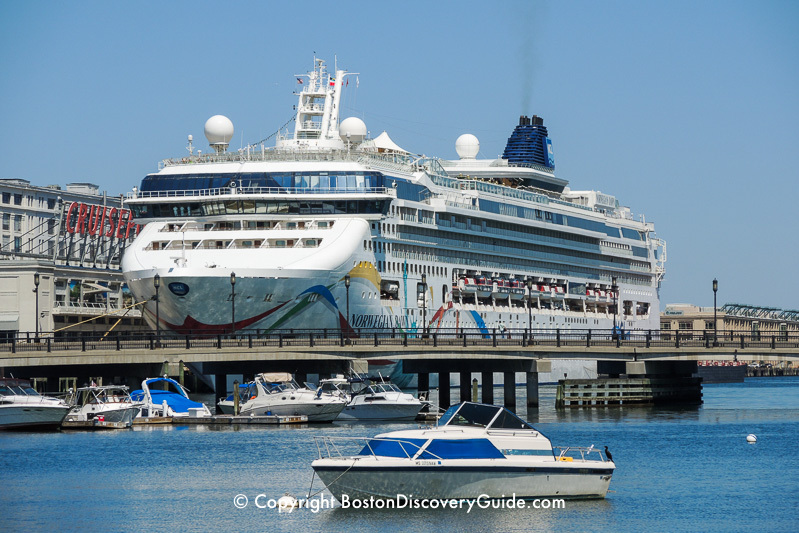 Cruises departing from Boston give you excellent choices of a variety of cruise lines and ships. Although the selection may vary a bit each year, you can typically choose cruises on Norwegian Cruise's Norwegian Dawn, Royal Caribbean's Brilliance of the Seas and Serenade of the Seas, Holland America's Maasdam and Veendam, and Seabourn's Seabourn Sojourn. Although Bermuda cruises and fall foliage cruises up the New England and Canadian coast remain the most popular destinations from Boston's Black Falcon Cruise Terminal, there's lots more for you to choose. Check out Holland America's fabulous "Voyage of the Vikings" cruise to Europe - you can choose the 18-day trip from Boston to Europe, or the round-trip 38-day option. And don't miss the fascinating Caribbean destinations on special turn-around cruises as well as summer New England and Canada trips. Cruise ships are like floating resorts, offering a huge array of entertainment and recreation, tantalizing cuisine and wine, unsurpassed views, and the experience of visiting exciting cities, enchanting villages, and other countries. 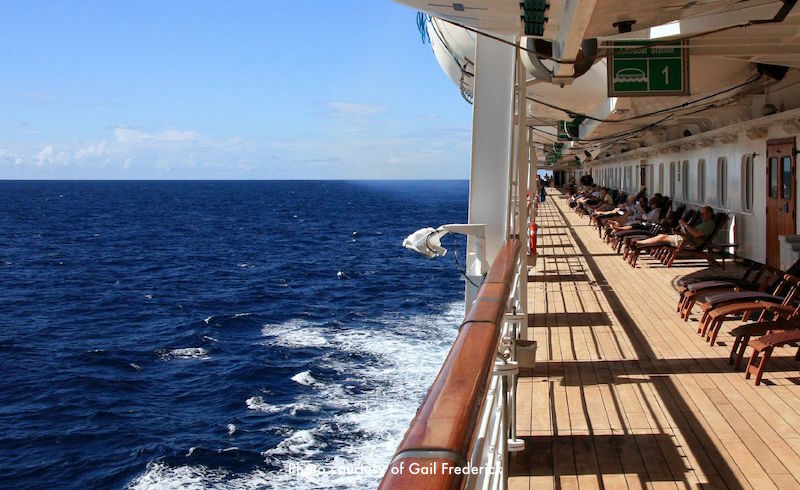 Cruises can be a surprisingly affordable way to travel. It's not unusual for cruise fares to cost less - sometimes a lot less - than you'd spend on hotels, food, and flight and/or car travel expenses on a land-based trip. And you can't beat the convenience. 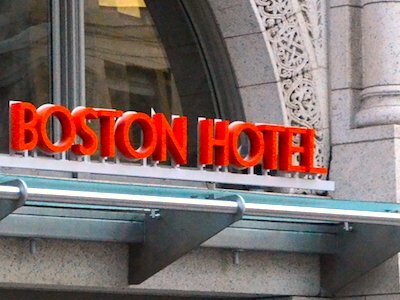 Take a look at all the trips offered from Boston - you're sure to find one (or more!) that's perfect for you. Although the actual schedule, itineraries, and cruise ships may vary a bit each year, the information below will give you a good idea about what to expect. 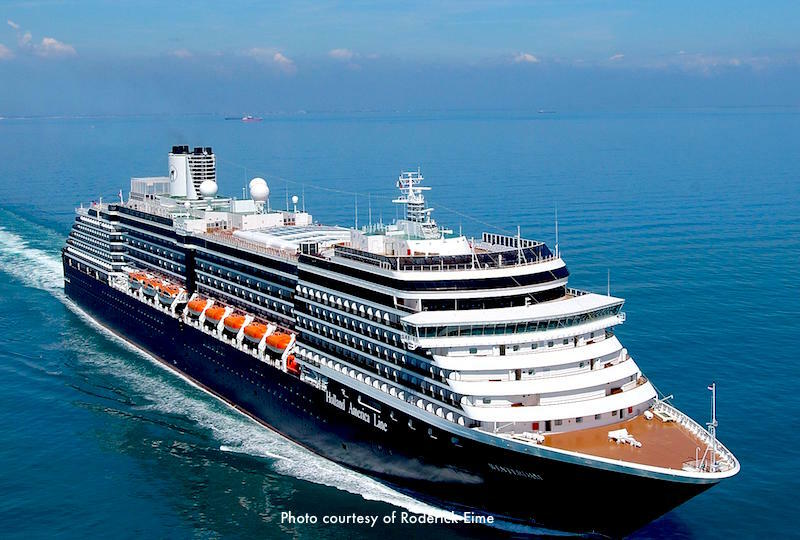 Holland America's Rotterdam departs in July on one of the most special cruises out of Boston: the Voyage of the Vikings cruise to Europe following the route the Vikings might have taken. You'll visit remote villages only accessible by sea, as well as exciting cities in Europe. Choose the 38-night round trip, with different Ports of Call on the way back to Boston, or opt for the 19 night one-way trip and spend extra time in Europe before flying back. The Rotterdam carries almost 1,400 passengers and features state-of-the-art amenities including a $2 million art and antique collection, multiple dining options, 2 regular pools and 2 kids' pools, plenty of activities such as the popular Culinary classes, exciting onboard entertainment, and lots of activities for kids and teens. For a special treat, book a Lanai stateroom with sliding glass doors leading directly out to the lower promenade deck. Need some pampering? Relax in the greenhouse spa. You can also enjoy the Rotterdam on New England and Canadian cruises. 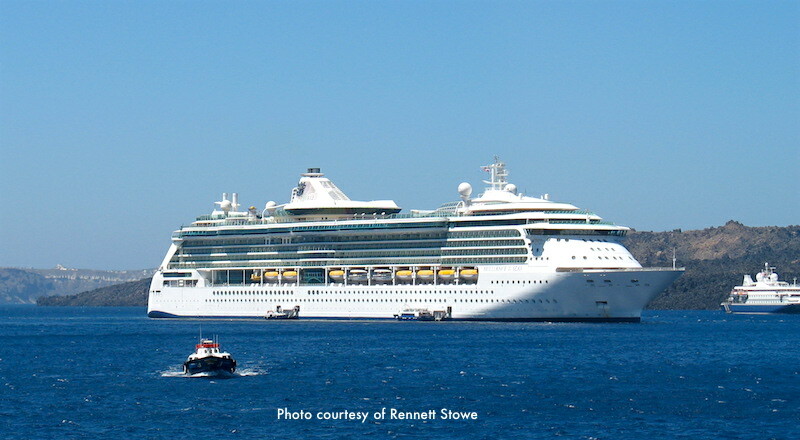 Serenade of the Seas is the largest of the cruise ships departing from Boston. You'll love the 9-deck high atrium and glass-sided elevators with ocean views, 3 pools, 3 jacuzzis, 2-deck gym, miniature golf and a putting green, rock climbing, a jogging track, a basketball court, and tons of evening entertainment options, including a casino, theater, and many bars, clubs, and lounges. 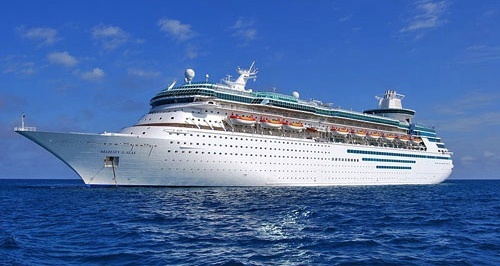 Serenade of the Seas spends September and October based in Boston, offering fall foliage cruises departing from Boston to New England and Canadian ports. 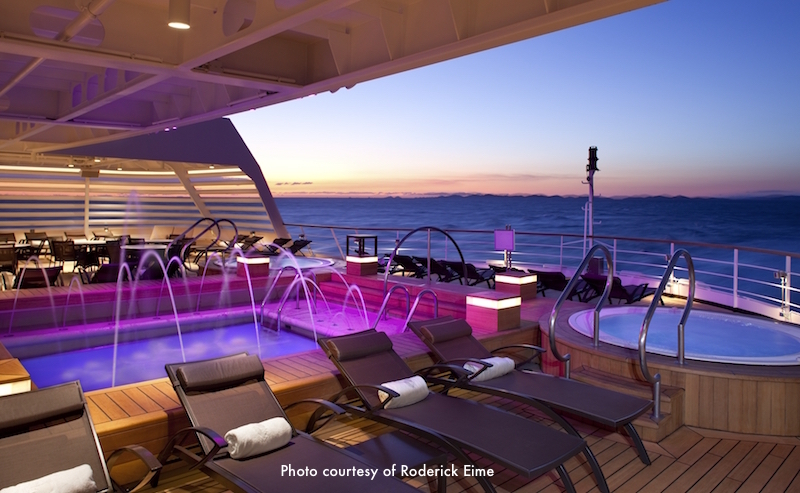 In late October, Serenade departs on an exciting repositioning cruise to the Caribbean, and then heads up to Florida for the winter. You'll visit Ports of Call such as St. Thomas and Willemstad. and can extend your stay in Florida if you'd like before flying back to Boston. 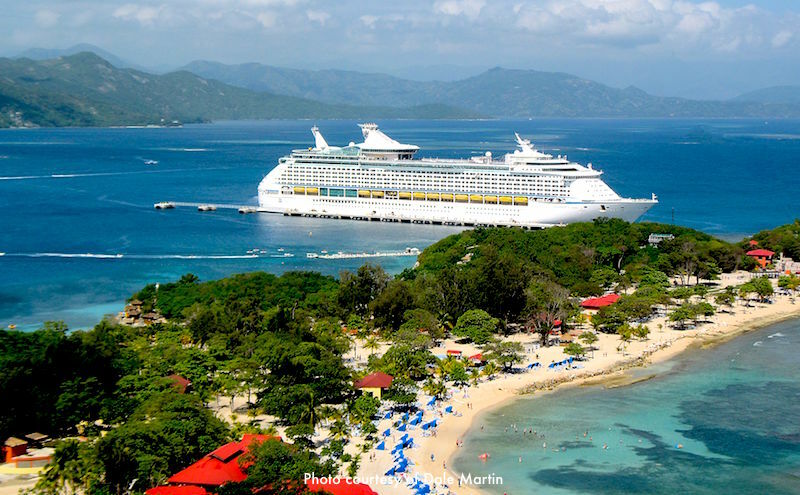 Best of all, the affordable rates for this Caribbean cruise may surprise you! But cruise deals and discounts make this picture even more interesting! You'll get the best cheap cruise deals if you book early (4-6 months before departure) or late (few weeks before departure) - or if you find a Cruise special. The best place to check for cruise deals, discounts, and specials is on Expedia's Top Deals page (click on Cruises). They show you the best savings on each Cruise Line. If you like freestyling cruises, Norwegian Dawn is the ship for you. Designed like a high-end resort, Norwegian Dawn gives you total freedom of choice about dining, activities, and entertainment. You can even splurge on a luxury 3-bedroom "Garden Villa" suite. If this is the ship you love, you'll have a wide range of cruise choices: Bermuda with its famous pink sand beaches, breathtaking fall foliages cruises to Canada, and finally, in November, fascinating 9- and 14-night cruises from Boston to the Caribbean, with Ports of Call in beautiful locales such as St. Thomas, Martinique, Tortola, and San Juan. Holland America's sister ships Veendam and Maasdam are almost identical to each other, with 10 decks centered around light-filled atriums displaying soaring sculptures fashioned from almost 2,000 pieces of sparkling glass and other stunning art. Each ship carries almost 1,300 guests and specialize in offering excellent service, elegant surroundings, and fine dining and wine. You can also enjoy fun classes such as the Digital Workshop - perfect for aspiring bloggers! As you explore the ships' entertainment options, you'll discover elegant theaters, clubs, casinos, and plenty of lounges and bars where you can kick back and relax. The two ships give you lots of itinerary and date choices: cruises to Bermuda, New England and Canada throughout the summer and into the fall to see the foliage, and an extra special cruise from Boston through the Panama Canal, and then up the western coast of Mexico to California. With stops along the way in Florida, the Grand Cayman Islands, Colombia, Mexico, and San Diego, you'll have the opportunity to see a huge variety of fascinating places; best of all, this is another surprisingly affordable cruise. 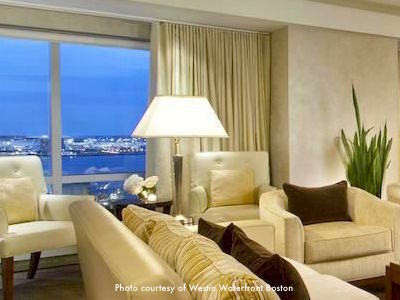 Seabourn is a high-end luxury cruiseline; Seabourn ships such as the Seabourn Sojourn which offers cruises out of Boston are in a class by themselves. With only 450 passengers, the 8-deck highly-rated Sojourn is basically a luxury yacht with an outstanding spa, 2 swimming pools, interesting cultural presentations, non-stop terraces, attentive staff, suite-sized cabins (90% with balconies), and excellent dining followed by dancing. Cruises aboard the Seabourn Sojourn are all-inclusive; no tips expected. Sojourn offers leisurely 10-day cruises from Boston along the New England coast, around the Canadian Maritime provinces, and ending in Montreal. You'll make stops in scenic spots such as Bar Harbor, Halifac, Charlottetown, and Quebec City, and also get to see the fjords and waterfalls along the spectacular Gaspe Peninsula.